Zirkumflex — Ja, Ich Will! Doubts become beliefs and desire turn into faith. JA, ICH WILL! 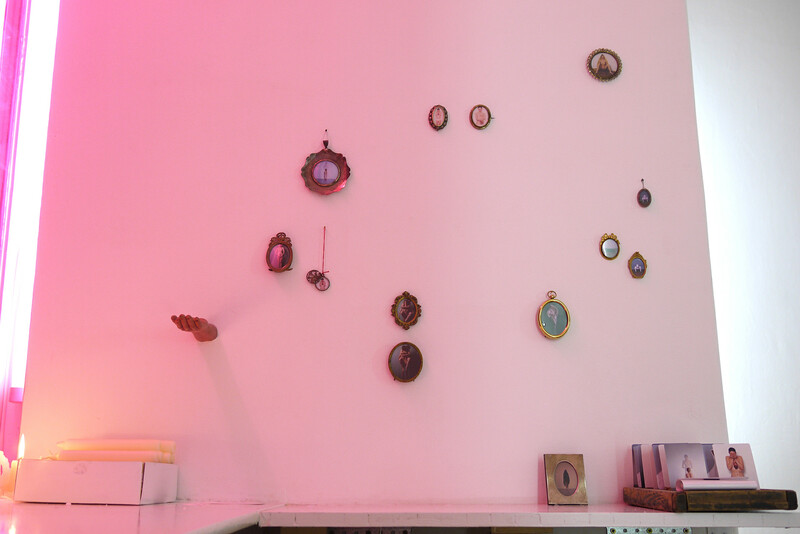 is a part of the MUTTER project developed by the artist, focused on the ambiguity between spiritual needs and emotional uncertainties. 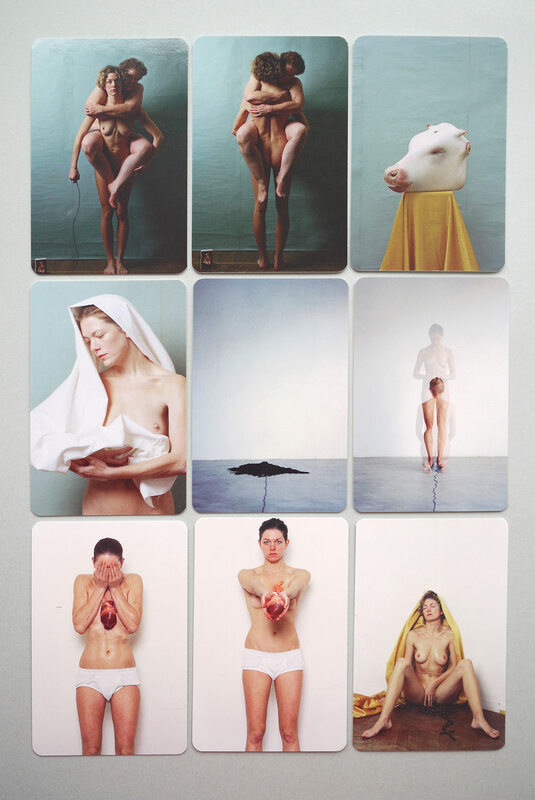 By using her body as a symbolic representation of today social troubles, she creates images where doubts become beliefs and desires turn into faith. From giant format exposed to the viewer to small amulets kept to oneself, our relationship with images changes, but not the understanding. 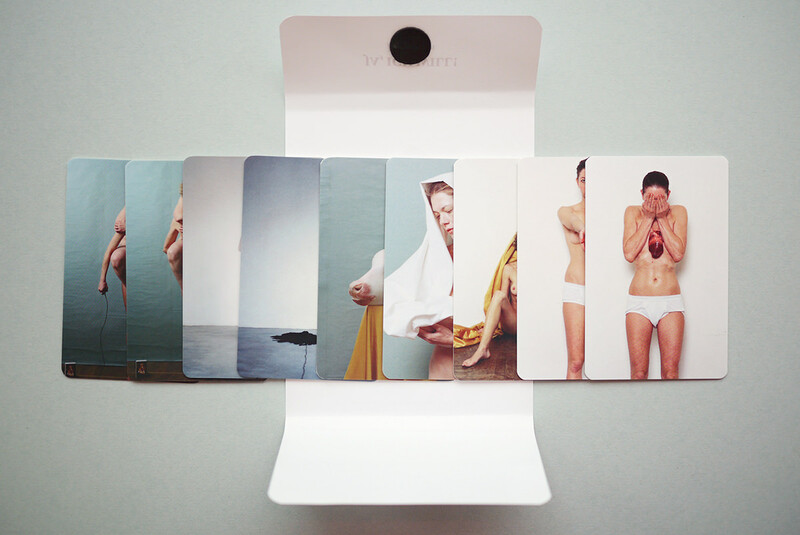 That is the theme of the collaboration with Julia Krahn, giving birth to a photo installation and an edition inspired by holy cards. 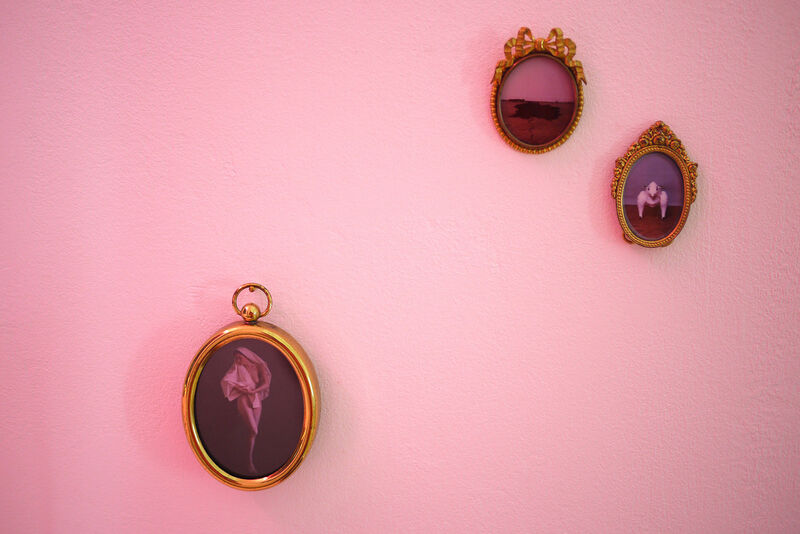 The project is made of conflicts; exhibition and intimacy, challenge and introspection. 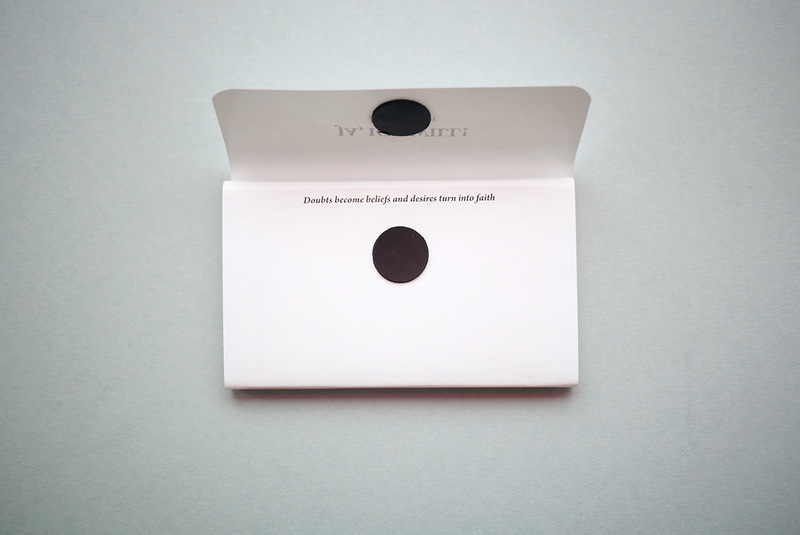 Two big size photographs pasted up in the space react to a collection of small cards published in limited edition. installation view Ja,Ich Will! Herz Dein, 2010 Julia Krahn. Photo: Laura Gianetti. Holy cards to keep away doubts and fears. 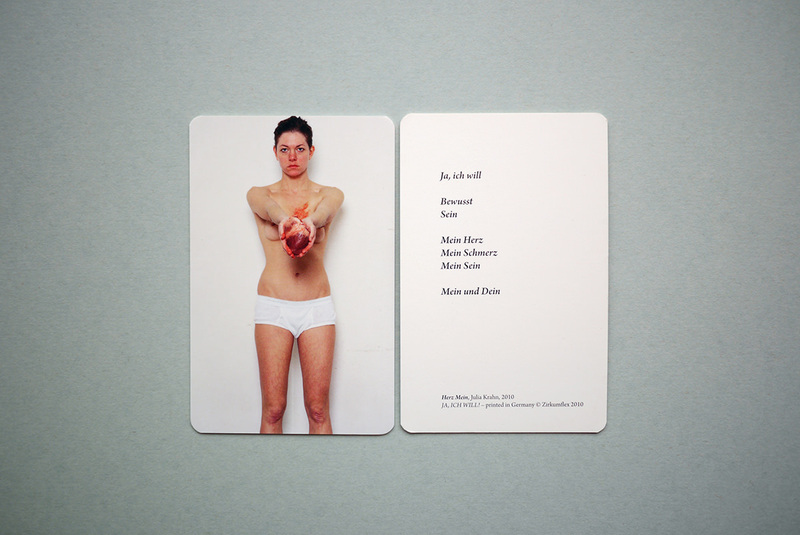 A complement to the installation that took place in Zirkumflex, the edition “JA, ICH WILL!” is a collection of nine small cards inspired by holy cards. Originally produced for use by the faithful, these holy cards are a series of pictures that question social values and individual spirituality by using religious visual codes. They engage in a private relationship with their bearer, like a picture of a loved one kept in a wallet. The opposite sides contain words written by the artist. 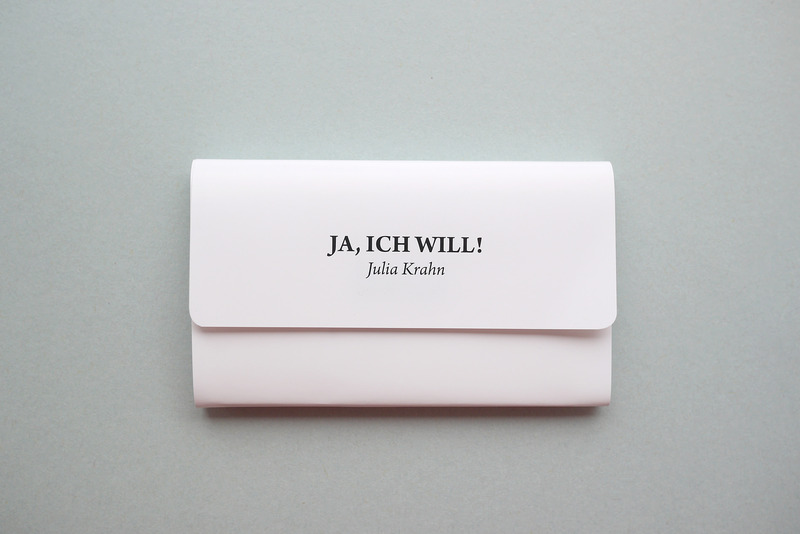 “Ja, Ich Will!” edition is a series of nine cards in packaging. 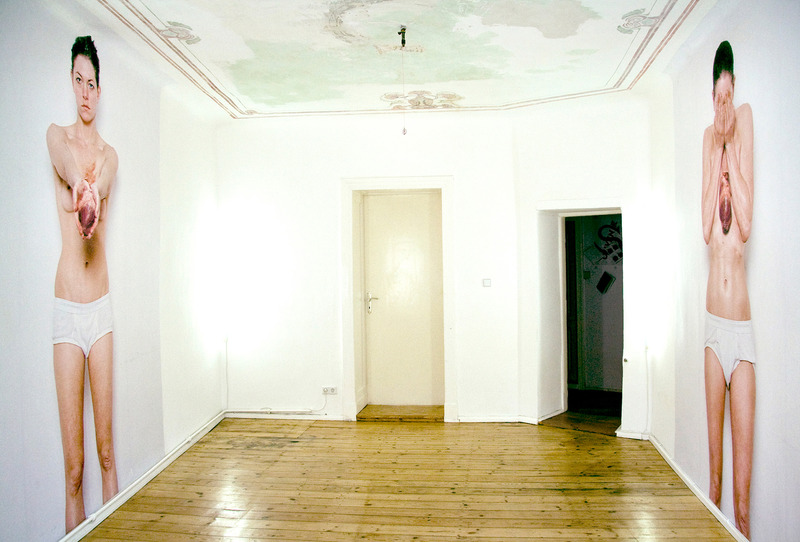 an exhibition in Zirkumflex’s space, October 8 to November 12, 2010.